Kidnapping children and replacing them with a magical decoy sounds like the tactic of a European troll or faery. I can’t help but wonder if this detail came about after the Cherokee had dealings with Europeans or whether it reflects a more universal mythical theme, perhaps a way to rationalize the sudden death or sickness of a child. Water cannibals have yet to appear in the Into the Wonder Series, although a character refers to them at one point in Children of Pride. Similar creatures from Choctaw mythology called the okwa naholo do appear, however, in The Devil’s Due. When the little one is well out of sight from his home, “Kwanokasha,” who is always on watch, seizes the boy and takes him away to his cave, his dwelling place…. When they finally reach the cave Kwanokasha takes him inside where he is met by three other spirits, all very old with long white hair. The first one offers the boy a knife; the second one offers him a bunch of poisonous herbs; the third offers a bunch of herbs yielding good medicine. If the child accepts the knife, he is certain to become a bad man and may even kill his friends. If he accepts the poisonous herbs he will never be able to cure or help his people. But, if he accepts the good herbs, he is destined to become a great doctor and an important and influential man of his tribe and win the confidence of all his people. When he accepts the good herbs the three old spirits will tell him the secrets of making medicines from herbs, roots and barks from certain trees, and of treating and curing various fevers, pains, and other sickness. 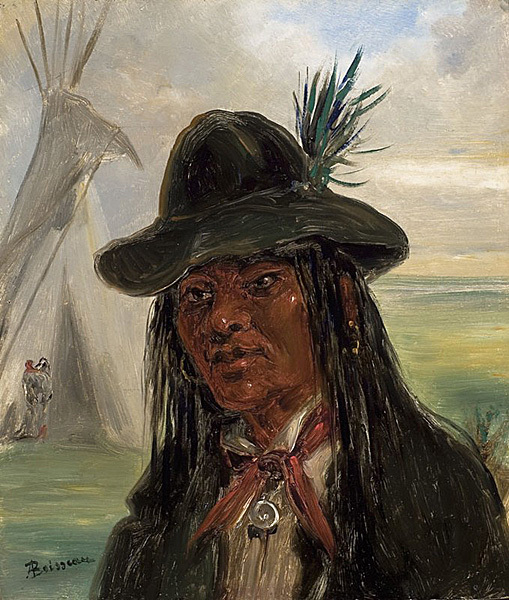 A Muskogee equivalent is called este fasta or fastachee, guardian spirits associated with Seminole shamanic practices, providing the medicines contained in a medicine bundle and acting as intermediaries between the Creator and the people. They are said to provide both corn and medicine. Several Native American peoples have legends of a half-deer, half-human being that lives in the forest and is sometimes dangerous to humans. In the Southeast, the Choctaw tell of a mischievous deer man called kashehotapolo. Cherokee folklore has a shapeshifting “deer woman.” These two apparently have little in common except their deer-like attributes and the general part of the world in which they live. The kashehotapolo love to frighten hunters in the woods but are otherwise more mischievous than malicious.They inhabit the marshes and swampy woodlands. The Choctaw say these beings screech and wail as they dash past lone hunters at lightning speed. What does a kashehotapolo look like? Reports vary. Some say its true form is an antlered humanoid, although it can take the form of an ordinary deer. Others report the creature has an undersized head. Yet others say he has a shriveled face, the body of a man and the legs and hooves of a deer. This confusion about its appearance is explained by the Choctaw by saying the creature ran so fast that few ever saw it clearly enough to clearly state what it looked like. In contrast to the Choctaw deer man’s mostly harmless demeanor, the Cherokee “deer woman” is a seductive shapeshifter. 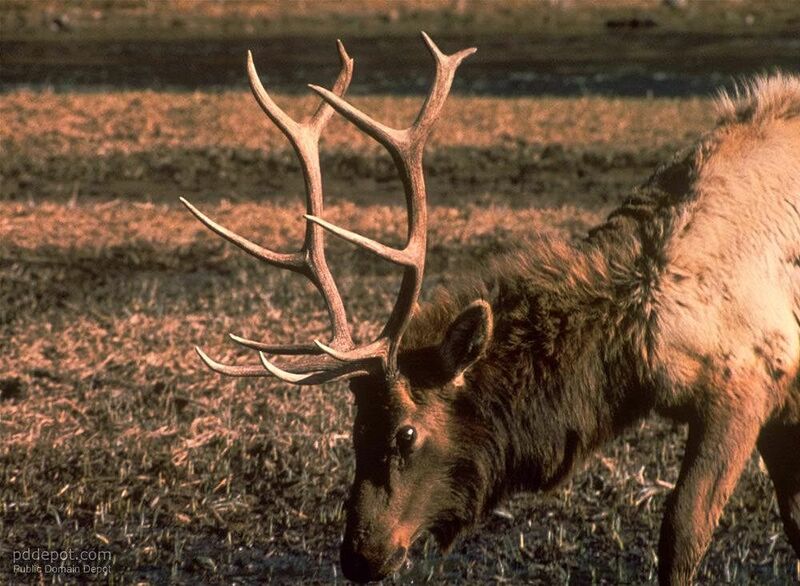 They are able to assume the form of a deer, although they may retain some deer characteristics even in human form (most often possessing hooves instead of human feet). Although they can be helpful to women, especially those hoping to conceive children, they are often dangerous to men. Men who are adulterous or promiscuous are their favorite targets. Deer women might lead such men to their deaths or else leave them to pine away from lovesickness. Deer women are also found in the folklore of the Great Plains. In the Lakota language, they are called Anukite (“double face”) or Sinté Sapela Win (“black-tailed woman”). Plains legends tend to paint them as irredeemably evil. In Cherokee and other eastern folklore, however, they can be helpful to humans, although they are still considered dangerous and unpredictable. In addition to the nunnehi, who are powerful supernatural warriors, there is another group of faery beings in Cherokee folklore. These are the yunwi tsunsdi or “little people” (the singular form is yvwi usdi). Like the nunnehi, the yunwi tsunsdi prefer to be invisible, although they do sometimes appear to humans as miniature people—child-sized or smaller. They are well-proportioned and handsome, with hair that reaches almost to the ground. It is said that twins are especially adept at seeing these tiny creatures. Yunwi tsunsdi are depicted as helpful, kind, and magically adept. Like many faery creatures, they love music and spend much of their time singing, drumming, and dancing. For all this, they have a very gentle nature and do not like to be disturbed. Even so, they are said to harshly punish those who are disrespectful or aggressive toward them. Each of these clans, it is said, teaches a moral lesson. The Rock clan teaches not to mistreat others lest misfortune come back against us in return. It is important to respect the limits and boundaries of others. The lesson of the Laurel clan is not to take the world too seriously. People must always have joy and share that joy with others. Finally, the Dogwood clan’s lesson is to treat others kindly out of the goodness of one’s heart and not in hope of reward. Yunwi tsunsdi are perhaps the most common type of faery being in the American Southeast. 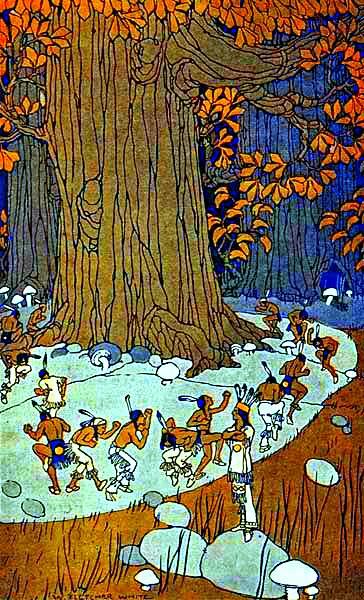 Legends about the Choctaw hatak awasa and the Muskogee este lopocke, both also meaning “little people,” are quite similar to what the Cherokee say of the yunwi tsunsdi. The Catawba know of creatures that are essentially identical, which they call yehasuri (“not human ones”).